Shack activity has been curtailed with the antenna ‘mast’ spending a lot of time luffed over due of the winter storms and high winds that have battered the UK over recent weeks. Thankfully things calmed down and was able to put the antenna back up but I seemed a little deaf on VHF/UHF dropping several S-points on local repeaters and then started to see high VSWR readings. The incessant rain had somehow got into the connector under the collinear despite being generously wrapped in self amalgamating tape. I replaced the connector and removed a couple of feet of coax in case any had seeped into the cable. Like much of the UK amateur community I have been trying to listen in to British Astronaut Major Tim Peake during a number of ARISS UK school contacts during the Principia mission on the International Space Station. It is pleasing to see the enthusiasm, interest and publicity it has generated for the hobby. There is another contact tomorrow (Friday 26th February 2016 at 1440UTC) with the City of Norwich School. While reception of the first two contacts proved a little disappointing for me, the one last week was much better and I made a video during the pass. The repaired ATU and a new balun on the OCFD has made a big difference to HF. 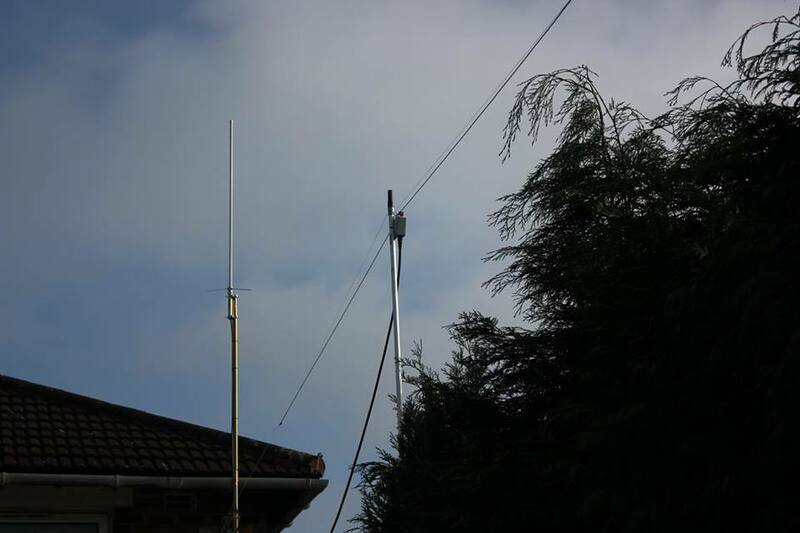 It is much less noisy and I am now able to match the antenna to 80m something I could never do before. While it will be very inefficient on such a short antenna I did run a little over 2W last night on WSPR as a test, and was pleasantly surprised. I have also been doing some JT65 and for the first time some JT9 inspired by a demonstration at SKARS and I was pleased to make a JT9 QSO with JA5BDZ on 15m using 10W. A big help to HF has been tracking down the source of my recent QRM, which wasn’t as many suggested my evil PLT devices but in fact the now redundant wireless router. While the WiFi was switched off it was still being used as a network switch and for some reason had suddenly become RF noisy, it wasn’t the switching PSU but the actual unit and would happen a few hours after being switched on. Funny thing it is not the first time I’ve had an access point suddenly emit QRM. A couple of weeks ago I went out with Stewart (M0SDM) to assist him flying his kite antenna and we operated under the club callsign MX0SKR, for a couple of hours, it was great fun. Last weekend I also helped my brother David (M6GTD) install a couple of antennas at the family home. He can finally use the radio he brought at the Hamfest back in September, a Diamond X-50 dual band collinear and a home brewed 33ft long OCFD should get him on the air! My apologies if this blog post sounds like a bit like an excited child recanting his holiday “I did this, and then I did this and I also did that” I hope to post something a little more coherent and structured soon! This evening I managed to successfully send some APRS messages to the International Space Station that were successfully digirepeated. It might not be a major technical achievement but after monitoring and decoding many passes in the past to now actually send something myself 300 miles up to something traveling at 5 miles/second left me feeling a little chuffed! 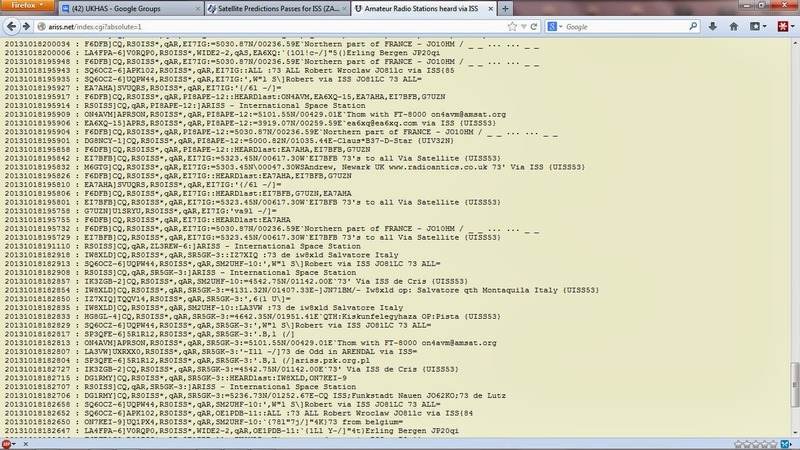 I screen capped the evidence from the website http://ariss.net which documents Amateur Radio data digipeated by the ISS. 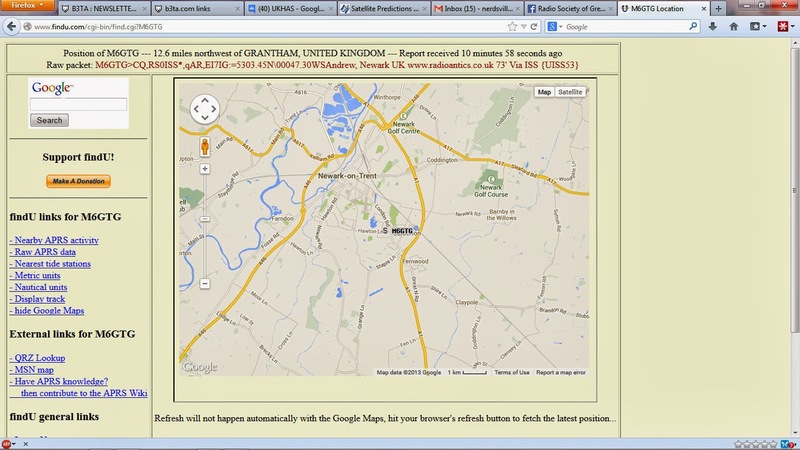 In order to appear on the page, a position report in a valid APRS format must be received and then digipeated through the ISS system, then be heard by an internet gateway station, which then forwards it on to the APRS Internet System. 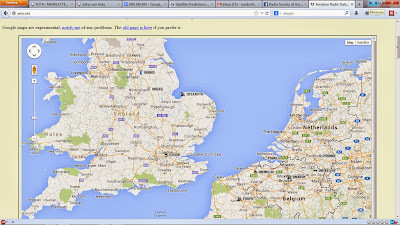 The map showing received stations, M6GTG is me! List of stations with time stamps, showing me! 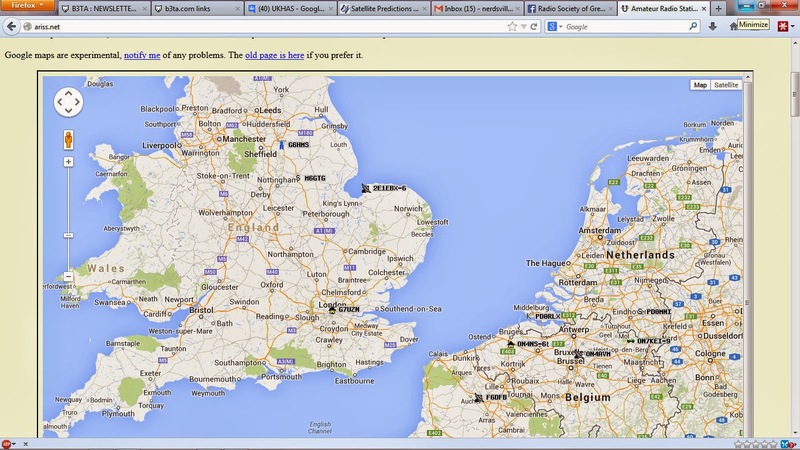 The equipment I used was very similar to that I used for the APRS IGate setup last month. It consists of a small embedded PC running embedded XP, the sound card output was connected to the microphone input of my Baofeng UV-5R+ operating in VOX mode set to 145.825MHz. The radio was connected through my power/SWR meter in to the X-50 antenna. I used the UV-5R+ instead of the UV-3R since it has a little more power and better audio. I had a SWR of around 1:1.2 and outputting 4W. The software I used was UISS from ON6MNU and the AGWPE packet engine. It has taken a little time to work out how to setup UISS into auto-beacon mode and putting in the time of the next decent pass (approx 45 degrees elevation) I set it to broadcast position and text data messages every 30 seconds. I stood out in the dark, hoping to see the ISS pass over but the cloud cover was too thick and monitored using a handheld scanner. I heard my transmissions obviously and the ISS broadcasts as it repeated received messages, but I didn’t know if any were mine till I got back to the PC. 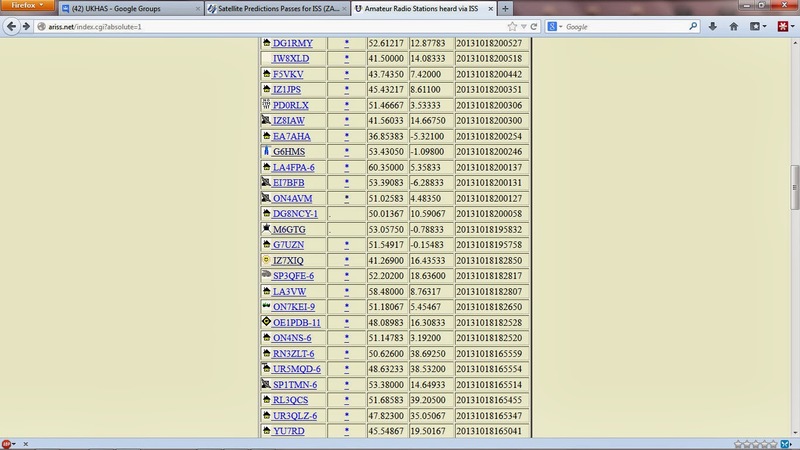 This is the audio I captured from yesterdays ARISS School Contact. Thought it was a very odd signal, when the ISS is transmitting sometimes was getting what sounded like a carrier which seemed to be undergoing a Doppler shift, but when the transmission stops the carrier stops? I know they have some issues with the radio equipment on board but still very odd. I think I might be mad! I know it is difficult to believe but Spring is officially here! At 11:02 today the vernal equinox occurred. I did get a reasonable signal during the pass but sadly it was marred yet again by interference. 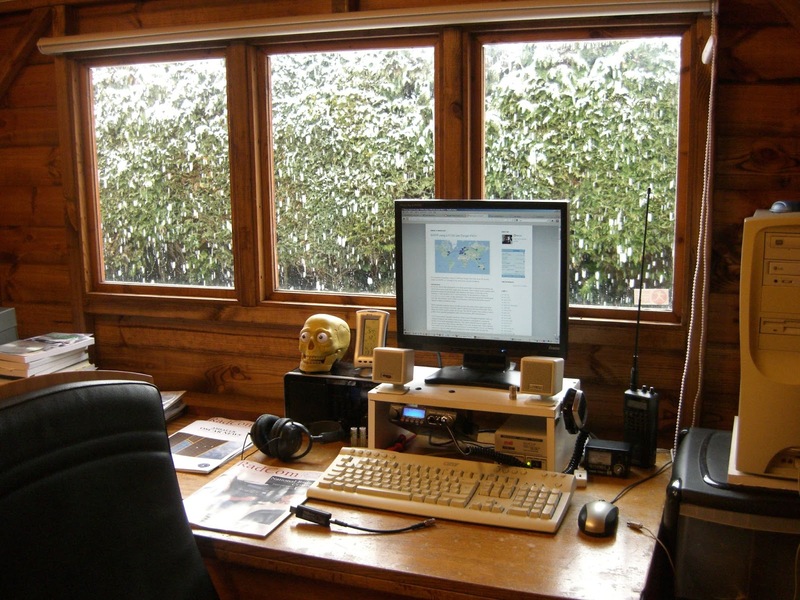 The weather is dreadful at the moment, the picture above shows the view out of the shack window last Sunday afternoon. I had hoped to capture various satellite transmissions but the weather was atrocious. It rained most of the day and then around 14:00 it turned into a short lived heavy snow shower. On Monday night I went to catch the evening pass of STRaND-1 and AAUSAT3 only for it to start raining once I had got set up! Yesterday morning (10:57 UTC) saw an ARISS School Contact with participants at Ecole Les Muriers, Saint-Maur-Des-Fossés, France. This was a nice opportunity to listen in since the position of the ground station at the school meant the UK could listen in to the majority (if not all) of the downlink. Usually when it is further east in Europe (Germany/Poland etc) you get the initial calling and the start of the contact but the ISS goes out of range before the session ends. So I set up my FUNCube Dongle PRO PLUS connected to the discone in the loft and the new SDR-Radio V2 Preview software. I had to start the recording remotely as I was in work, but have played back the IQ file and made a video showing the decoding. 1. What is the temperature outside the ISS? 2. What does the Earth look like from the ISS? 3. What does the Moon look like from the ISS? 4. Have you already passed through an asteroid belt? 5. Are you able to go outside the station, into the space? 6. What is your speed? Can you feel it? 7. How do you sleep? Do you have the same sleep pattern than on the earth? 8. Do the crew members sleep one after the other, or do you sleep all at the same time? 9. How do you know if it is morning or night on board? 10.Do you do any sports and physical activities? Do you lose weight? 11. Do you shave every day? If so, how? 12. Do you see any space debris? Can you see evidence of pollution of the earth? 13. What are your hobbies on the ISS after a day of work? 14. Are you happy to come back home at the end of your mission? 15. What is your current mission? 16. Why did you choose to become an astronaut? 17. How do you cook food? What is a typical meal in the ISS? I was lucky to receive it given the interference monster was back! It does manage to get in on the act a few times but thankfully doesn’t stop the show completely. Over the last few months I’ve been suffering from increasing interference on the VHF/UHF and HF bands. Some of which I know about, the router I have puts out quite a few spikes on VHF but something local to me is putting out huge amounts of QRM. I know it isn’t internally generated as it disappears when I remove the antenna. I have gone around and powered off all the potential culprits in the house and discovered a switch-mode power supply for an external USB hard drive was throwing out some HF noise as was a digital photo frame. I’ve suffered with interference on and off since getting back into the hobby back in 2010 and appreciate it is something I have to live with but it is quite annoying at times. I suspect the interference might be one of those power-line networking devices, but if anyone has any idea I would welcome a comment! There was an Amateur Radio on the International Space Station (ARISS) school contact planned with participants at Primarschule Aesch, Forch, Switzerland around 13:50 UTC. Ideally I would have been at home at that time during my lunch hour and would have brought out the big guns to make a decent recording as I’ve done in the past. Instead yesterday saw me spending most of the day at The Royal Derby Hospital. But I planned ahead and took along my trusty Realistic PRO-26 to see what I could receive in the car park if I got the chance, which I did! I actually received a few minutes more but I hadn’t packed a spare battery for the camera and it ran out.. doh! I was using a Watson W-881 Super Gainer but it’s length precludes being able to stand it up.. hence the horizontal polarisation! On Wednesday, September 19, 2012 at 7:13 UTC, i.e. 9:13 CEST, students of Complex of Technical Schools, Kolo, Poland established ARISS contact with astronaut Akihiko Hoshide KE5DNI onboard the International Space Station. Astronaut Aki Hoshide operated with the ISS callsign OR4ISS. This was a direct contact performed by amateur radio station SP3PGZ, located in the school. Kolo is a 650 years old, small city located in the central region of Poland. Zespol Szkol Technicznych (Complex of Technical Schools, abr. ZST) in Kolo is a modern, dynamic and constantly developing school with more than 60 years tradition, with a well-qualified staff. The school is one of the largest secondary schools in the region. Currently they teach more than 1000 students between 16 and 20 years old. Local School Amateur Radio Club SP3PGZ was established in 1976 and since then it has been active on many amateur radio bands. The main goals of the club are: promoting shortwave radio communication as a hobby for young people, cooperation in organizing local events and taking part in competitions. Now they established the ARISS school contact. 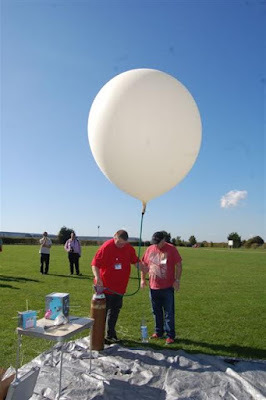 The contact took place at Centre of Information in the school, where an audience of about 30 visitors and media participated to the ARISS event. Before the contact, host of the event Dr. Armand Budzianowski and students Konrad Kustosik and Mateusz Karulak presented  visitors and media information about ARISS and about the students preparation to this contact with the ISS via Ham Radio. At 7:13 UTC, contact was established with OR4ISS by SP3PGZ station. Mr. Greg Walichnowski SP3CSD, the radio contact operator, exchanged welcome greetings with astronaut Akihiko Hoshide KE5DNI. Using the VHF radio in the Service Module, Aki answered 18 questions from the students. To close the contact, students dedicated this event to the memory of all those brave men and women like Yuri Gagarin, Neil Armstrong or Sally Ride and to all ISS crew members who are striving to fulfil humanitys dream of conquering the universe. The event was covered by several TV stations and other media. There was 2 minutes live breaking news on wide-World in Polish language television TVN24. http://www.tvn24.pl/wideo/na-zywo/. Two movies produced by TVN24 are available here: http://www.tvn24.pl/wiadomosci-poznan,43/good-morning-my-name-is-greg-uczniowie-rozmawiali-z-kosmonauta,277673.html. I did manage to get a decent capture of the ISS downlink during the ARISS School Contact on Wednesday morning before I had to leave for work. It was a bit cold standing out with the antenna but was worth it. 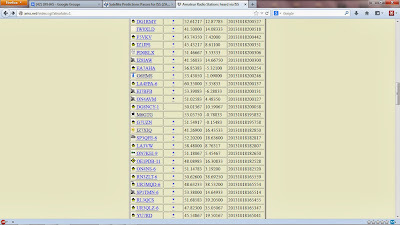 Seems to be lots of ARISS activity at the moment. 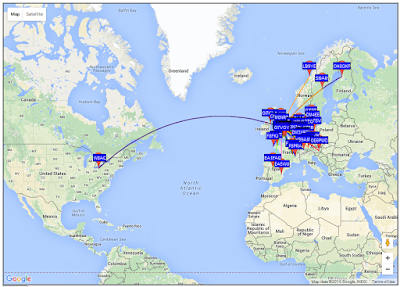 There have been a number of school contacts over the last few weeks that have had downlink transmission from the International Space Station receivable over the UK and Europe. Tomorrow morning (September 19th) there is another one, but it is unlikely I will be able to have a proper attempt at receiving it. However these are the last two downlink transmissions I managed to receive. On a related note found this video today that made me smile can you spot the deliberate mistake? Not much to report, but have had a few decent monitoring sessions with the FUNCube Dongle. A couple of ISS ARISS School Contacts took place over Europe during the last couple of weeks, with another taking place on Sunday morning. I was in work during the passes but managed to remotely log in to my computer to do some ‘unattended’ SDR-Radio recordings. Late last night there was a bit of a lift on VHF and managed to receive the GB3VHF 144MHz Beacon which while it may not seem very news worthy is given there is a huge hill in the way when you look towards Kent! I have received it before using the Yagi in an horizontal polarization. But last nights reception was via the discone in the loft, which was a first. Love the JT65B tones, very musical. 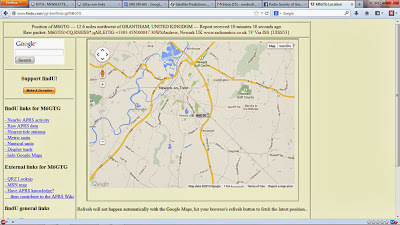 Earlier last night was also quite amusing when I stumbled across the Hucknall Rolls-Royce Amateur Radio Club who were trying to run an Amateur Radio Direction Finding Fox-hunt but were being completely blotted out by another, seemingly deaf, local operator pumping out 100W, though he did turn it down to 10W eventually. 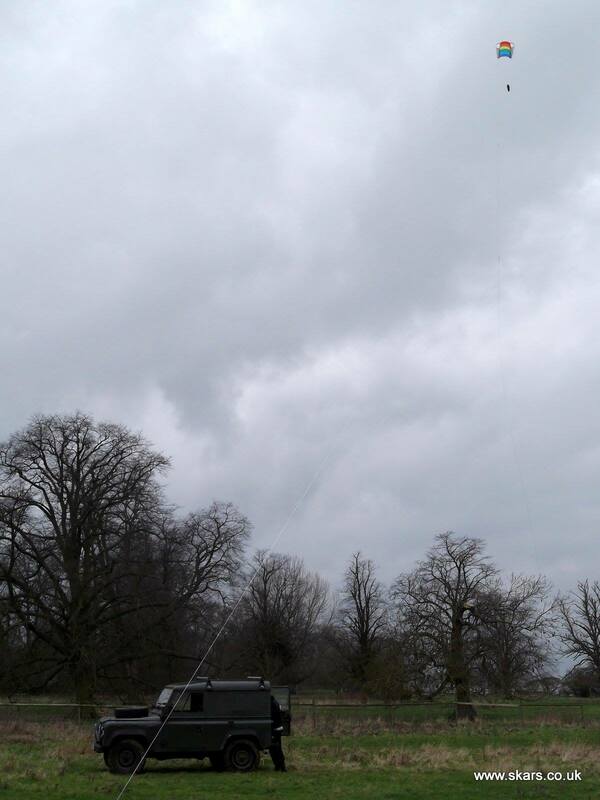 Finally last weekend was the RSGB 144MHz Trophy Contest, again I got to get some decent SSB reception.